It's that time of year again... time to get the kids ready for back to school! While this can be an exciting time, it can also be hard on our budgets... but that doesn't mean it HAS to be. Today I am sharing some tips that I have found throughout the years that can help you save BIG on back to school. Often times it feels like we have to get everything new every year, but that's not always the case. One of the big things we try to get more than one year's use out of is backpacks. If it's in good shape, why not use it again? Likewise you can often reuse scissors, pencil pouches, lunchboxes, even folders if they're in good shape. When you can't re-use but can't afford new, going with used items can be a great way to go. This is especially true for clothes! Kids go through them so quickly that we can often find like new clothes for a fraction of the cost. Once Upon A Child is my personal go to, but online sites such as ThredUp or Schoola can provide great deals too. You can even find great used options on eBay. When shopping online, be sure to keep shipping prices into consideration. Take Advantage of Back To School Sales. This is THE best time to get cheap notebooks, pencils, glue and more. The stores have these items marked down significantly so use this to stock up on anything you might need more of throughout the year. & Don't Forget The AFTER Back To School Sales Too. While they may not help for the current year, those post back to school markdowns can be a great way to get a head start on NEXT year. This is especially great for those items that aren't marked down as deeply to begin with--- backpacks, binders, locker accessories, etc. I do a LOT of shopping on Amazon for everything else, but never thought I would get great school supply deals there--- compared to what I could get in store anyway. And for many things, you might not... but if you watch there are some amazing deals to be had, especially if you are buying in bulk! Amazon can also be great for back to school clothes and larger items like those backpacks. Dollar Tree To the Rescue. It's no secret that I LOVE Dollar Tree, and again while deals on basics like notebooks and pencils may be cheaper elsewhere, we can get many essentials right from our Dollar Tree too... things like hand sanitizer, dry erase markers, etc...even cute baskets for locker organizing. Now, you do have to watch quality on SOME items, but for many you can get great deals at a fraction of what you would pay. Get What You Can NOW. To be honest, there are some years where money has been tighter than others and I have been unable to get everything all at once. You WANT to make sure your child has everything they need, but when the funds just don't allow... what can you do? Talk to your child's teacher. Explain your situation, find out what is most important RIGHT NOW. Get those things, and as much as you can, but work it out to bring those other items like tissues and hand sanitizer, dry erase markers and printer paper (classroom needs) in later in the year. This spaces things out a little bit for you, but still helps out the classroom when they start to need it later in the year. Sometimes even with the best planning and deal searching, we just can't find the means to make it work. Thankfully, there are often many local resources that can help those who truly need it. 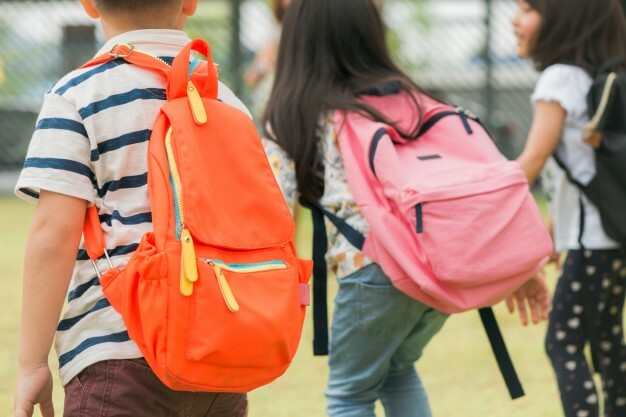 Look for local organizations that offer school supplies to low income family--- this may be through a local church, a food bank, or even directly through the school. Ask around to find the resources in YOUR area. Also, don't forget to apply for reduced/free lunches. In our district, if you qualify for either, you do not have to pay book fees either... that can be a HUGE savings, especially with multiple children. Does back to school shopping stress you out? What ways have you found to save on back to school? I can't believe it is already back to school time. I agree... Dollar Tree is a great place. I LOVE that store. These are fantastic tips!